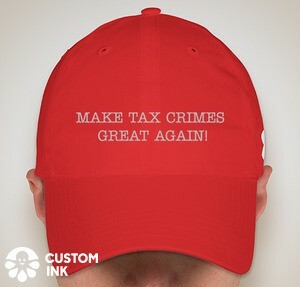 On the criminal side, the Tax Division is charged with authorizing the investigation and prosecution of offenses arising under the internal revenue laws and, in doing so, setting criminal tax policy nationwide. With nearly 150 million returns filed each year and only about 1,800 investigations and prosecutions authorized, smart case selection is critical for effective deterrence. Our criminal cases involve traditional tax crimes – tax evasion; preparing and filing false and fraudulent returns; failing to file; evasion of payment; failing to collect, account for and deposit employment tax; and conspiring to defraud the IRS. Our criminal attorneys also prosecute ever increasing stolen identity refund fraud crimes, either alone or in conjunction with Assistant U.S. Attorneys. I would like to take a few moments to highlight our efforts with respect to two areas: employment tax and offshore enforcement. Since January 2015, the Tax Division has sharpened its focus on civil and criminal employment tax enforcement. As most of you know, these cases involve employers who fail to collect, account for, and deposit tax withheld from employee wages. These withholdings represent 70 percent of all revenue collected by the IRS, and as of September 2015, more than $59 billion of tax reported on Forms 941 remained unpaid. These employers are literally stealing money, knowing that their employees will receive full credit for those amounts when they file their returns. The employers gain an unfair advantage over their competitors and the U.S. Treasury is left holding the bag. We have designated a Senior Litigation Counsel in our Civil Trial Sections, Noreene Stehlik, and an Assistant Chief in the Southern Criminal Enforcement Section, Caryn Finley, as our points of contact for civil and criminal employment tax matters. With every criminal case referred to the U.S. Attorneys’ Offices, we provide this contact information and, for those districts that would like additional resources, we offer litigation assistance with new referrals and for cases in the pipeline. Finally, we are waging a public campaign in an effort to educate employers and their representatives about the serious nature of employment tax violations. We are sending the message that we will hold employers accountable through civil litigation and criminal prosecutions. In the international arena, the Tax Division plays a lead role in prosecuting those who use foreign tax havens to evade taxes and reporting requirements, as well as those who facilitate this misconduct. Since 2008, the department has publicly charged more than 100 accountholders and approximately 50 individuals who have facilitated the concealment of foreign accounts and evasion of U.S. tax obligations. We also reached final resolutions with seven foreign financial institutions, including the guilty plea of Credit Suisse in May 2014, the deferred prosecution agreement entered against Bank Leumi in December 2014 and the deferred prosecution agreement entered against Bank Julius Baer in February 2016, imposing a monetary sanction of $547 million. Our investigations of accountholders, facilitators and foreign financial institutions are ongoing and we anticipate public announcements regarding these matters in the coming months. In August 2013, the department announced the Swiss Bank Program, which provides a path for Swiss banks to resolve potential criminal liabilities in the United States. Banks already under criminal investigation related to their Swiss-banking activities (identified as Category 1 banks) and all individuals were expressly excluded from the program. Under the program, Swiss banks about which we had little or no information came forward and admitted to engaging in criminal conduct. These institutions, identified as Category 2 banks, were required to make a complete disclosure of their conduct, provide detailed information on U.S. related accounts, cooperate in treaty requests, provide detailed information as to other banks that transferred funds into undisclosed accounts or that accepted funds when undisclosed accounts were closed and agree to cooperate in related criminal and civil proceedings for the life of those proceedings. These banks were also required to pay appropriate penalties, which could be mitigated if a particular U.S. related account was not undeclared or was reported by the bank to the IRS, and also if the accountholder entered one of the IRS voluntary disclosure programs at the bank’s urging. Category 2 banks that met these requirements and agreed to the proposed penalties were eligible for a non-prosecution agreement. On March 30, 2015, the department signed the first non-prosecution agreement with BSI SA, imposing a penalty of $211 million. On Jan. 27, less than 10 months later, we signed the final Category 2 agreement, bringing us to 78 agreements with 80 Swiss banks, and the imposition of more than $1.3 billion in penalties under the program. The Swiss Bank Program is an extremely innovative approach to offshore enforcement. The program brought to our attention the conduct of more than 100 Swiss banks and financial institutions and played a critical role in pushing U.S. taxpayers into compliance. The IRS has announced the receipt, since 2009, of more than 54,000 voluntary disclosures, more than 30,000 streamlined filing submissions and the collection of more than $8 billion in tax, penalties and interest. The conclusion of the Category 2 agreements is a major milestone for the department and the IRS, but does not represent the conclusion of the program. Working with our colleagues in IRS-CI and the IRS Large Business & International Division, we have been reviewing the information obtained from the Swiss banks, treaty requests, whistleblowers and individuals and entities cooperating outside of the program and using this information to pursue criminal investigations and civil enforcement efforts. We are identifying and investigating accountholders and individuals, both domestic and foreign, who helped U.S. taxpayers conceal foreign accounts and evade their tax obligations. As discussed by Deputy Attorney General Sally Q. Yates in her memo last fall regarding Individual Accountability for Corporate Wrongdoing, one of the most effective ways to combat corporate misconduct is by seeking accountability from the individuals who perpetrated the wrongdoing. Our investigations of both individuals and entities are well beyond Switzerland at this point, and no jurisdiction is off limits. Outside the program, working with the IRS, we have found a number of fruitful avenues to uncover information when taxpayers refuse to cooperate in civil examinations and criminal investigations and hope that information about their foreign accounts will not be discovered. John Doe summonses on correspondent accounts can provide valuable information about money coming into and out of the United States. As you are probably well aware, eight courts of appeals have uniformly recognized that the required records exception to the Fifth Amendment act-of-production privilege compels taxpayers to produce those records about their accounts. And, where appropriate, we will gather documents through traditional summons enforcement proceedings or grand jury subpoenas aimed at U.S. entities or taxpayers who control documents held in foreign jurisdictions. After three very well-publicized voluntary disclosure programs, nearly 200 criminal prosecutions, ongoing criminal investigations and the increasing assessment and enforcement of substantial civil penalties for failure to report foreign financial accounts, a taxpayer’s claims of ignorance or lack of willfulness in failing to comply with disclosure and reporting obligations are, quite simply, neither credible nor well-received. Those who continue to fail to come forward and disclose their conduct run the very serious risk of ending up as the next criminal defendant or at the receiving end of a substantial assessment of civil penalties. And to those individuals and entities, both in the United States and around the world, that have facilitated this criminal conduct, we encourage you to come forward before you are contacted as a target of our investigations.